It looks like the much-talked about civil aviation boom in India is finally about to happen. And, no-frills carrier SpiceJet seems to have kicked it off with a $12.50 billion deal with CFM to purchase LEAP-1B engines for their 155 units of Boeing 737 MAX airplanes as well as spare engines to support the fleet. The LEAP engine family, a product of CFM International- a joint venture between GE Aviation of the United States and Francebased Safran Aircraft Engines, are steadily becoming a popular option with more than 14,300 orders received through January 2018. Under the recent $12.50 billion SpiceJet-CFM deal, LEAP engines are to be supplied to power the airline’s growing fleet of Boeing 737 MAX as well as spare engines to support the fleet. The airline also signed a 10-year rate per flight hour (RPFH) agreement with CFM that covers all LEAP-1B engines powering their airplanes, giving them a 15 per cent reduction in fuel consumption and CO2 emissions versus current engines, a 50 per cent cut in NOx emissions (Nitrogen Oxides), and compliance with stringent noise standards. CFM, manufacturer of commercial aircraft engines, is a 50/50 joint venture company between France’s Snecma (Safran Group) and the General Electric Company (GE) of the United States. The company was founded in 1974 and has delivered more than 20,250 engines to more than 500 operators around the globe. The LEAP engine family is the fastest-selling in aviation history with more than 14,300 orders received through January 2018. Initially, the LEAP 1B engines were reportedly facing performance shortfall of close to four to five per cent in specific fuel consumption (SFC). However that seems to have been resolved since. RPFH agreements is a flexible aftermarket support offered by the engine makers according to which CFM guarantees maintenance costs for all SpiceJet’s LEAP-1B engines on a pay-by-the-hour basis. Interestingly, GE partnered with the Tata Group last year to manufacture turbofan engine components for the LEAP series engines. Cashing in on the buzzword of the moment, ‘Make in India’, under this partnership, a manufacturing facility has also been set up in Adibatla, Hyderabad to deliver high precision aeroengine components for the CFM LEAP engine. 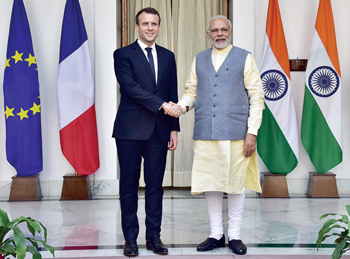 Also, Safran announced the opening of a factory to manufacture electrical wiring interconnection systems based in Hyderabad when the French President Emmanuel Macron visited India recently. A subsidiary of Safran specialising in electrical systems, is also working to deliver the first “Made in India” LEAP electric harnesses destined for the narrow-body aircraft market. The factory will also meet the needs of other Safran programmes in the region as well as the existing European and US markets. 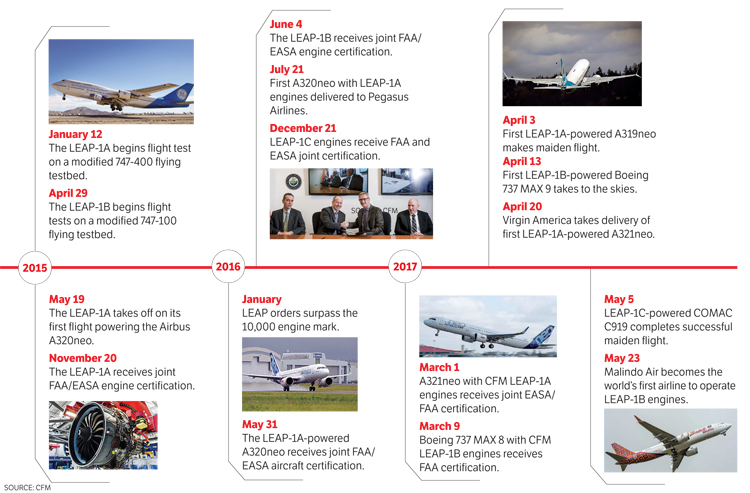 The CFM Training Centre in Hyderabad will support customers of both the LEAP-1A and LEAP-1B engines throughout India, the Middle East and Far East airlines. This centre, which has the capacity to train 500 engineers annually mirrors those already in China, France and the United States. The airline has a 60 aircraft strong fleet consisting of 38 Boeing 737 and 22 Bombardier Q400. The Boeing 737 Next Generation fleet is currently powered by CFM56-7B engines by the same manufacturer. 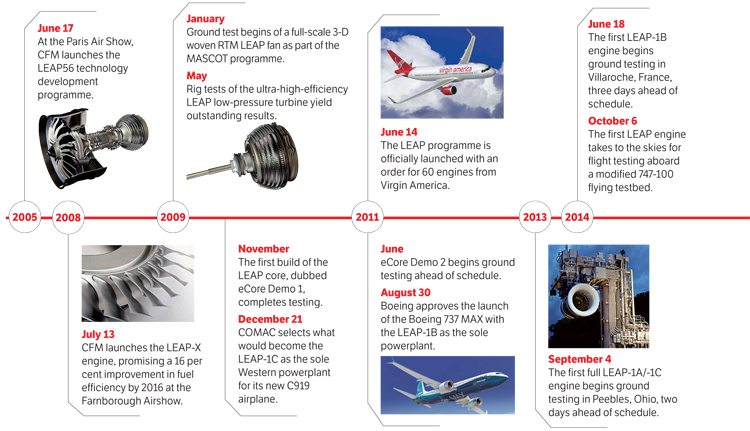 The LEAP-1B orders are for the benefit of their Boeing 737 MAX aircraft that are touted to be one of ‘the newest and most technologically-advanced’ carrier in the business at the moment. Being fuel-efficient as well as designed to be 40 per cent quieter than SpiceJet’s current Boeing NextGen aircraft, the latest 737 MAX is slated to cut down fuel costs of SpiceJet by about 15 per cent, while engineering and maintenance costs are expected to come down by 10-15 per cent. The airline is set to receive the first delivery of their latest Boeing acquisitions by August this year and another 14 by March 2019. The SpiceJet-Boeing deal, that is on the sale and leaseback model, was valued at a current list price of $4.74 billion; but the actual amount to be paid will be much lower as Boeing is known to give heavy discounts for bulk sales. Meanwhile, even on the engine front, SpiceJet has struck a sweet deal under which the airline will pay a flat fee and Safran will look after all the maintenance of engines for the next ten years. The delivery is slated from August onwards and is expected to help the aircraft longer by reducing fuel burn and operational costs. 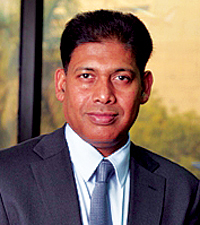 “It will help us reduce our overall cost of operations and therefore it will increase margins for SpiceJet. 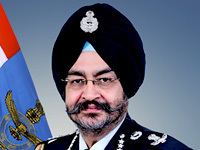 It will help us be more competitive in the market place,” Singh told PTI in an interview. And that’s not all. Boeing and engine maker CFM have also said that the LEAP-1B “is on track to deliver 14 per cent more fuel efficiency” compared with current 737 planes, in line with targets. 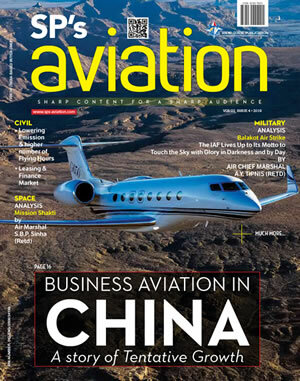 It should be noted that initially, in 2015, Aspire Aviation reported that the LEAP-1B has a performance shortfall of four to five per cent in specific fuel consumption (SFC). According to experts the five per cent shortfall indicates something being fundamentally wrong with some components of the engine, which are performing far below expectations. However, according to a Reuters report, a senior official with the engine manufacturer described the shortfall speculation as “absolutely false,” while another industry source familiar with the matter said talk of a shortfall was inaccurate. SpiceJet currently controls 14.48 per cent of the domestic air travel market share in India and the recent developments may just improve these numbers.